Islamic State militants, buoyed by military success yet squeezed online by Western cyber-security initiatives are now openly recruiting in European mosques, according to claims published by The Guardian. In the recent past, the ‘radicalisation’ process that foreshadowed young men and women leaving their European homes and travelling to Iraq and Syria has taken place online, in extremist forums and on social media. This distance from the real world has meant mosques with histories of members going abroad have been able to legitimately deny involvement. Now, as the security services’ anti-cyber-terror strategy bears fruits by disrupting online networks, recruiters to the Jihadist cause are being forced out into the open. While this makes it easier for the security services to catch key extremists, it may also cause friction between Muslims and security services as increased attention falls upon mosques and worship centres. A small number of mosques with an apparently strong past in radicalism are already under investigation. The Guardian cites the Jalalia Mosque in Cardiff, which occupies a former Victorian church. The ‘liberal’ Hanafi Imam resigned last month, claiming he was forced out by radical Salafist worshippers. The Guardian cites an apparent ISIS insider who claimed the UK was of particular interest to Jihadist recruiters because of its “large minority of Salafis”. In a letter leaked to Wales Online the Imam claimed: “People don’t understand the relationship between Salafism and terrorism, the impact of Salafism is very dangerous for the Muslim community. It creates confusion in Islam. It makes children enemies of their parents. Boys and girls think their forefathers are enemies because they do not follow it”. 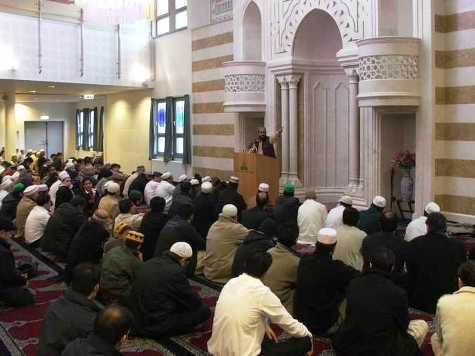 Three Cardiff terror suspects who went to Syria in the pursuit of Jihad are reportedly adherents of this hard line interpretation of Islam, and worshipped at the nearby al-Manar centre which is now under investigation. The Daily Mail reports today that the charity commission is probing ‘possible extremist links’, despite the charity that runs the Cardiff mosque officially ‘rejecting extremism’.